I have recently been trying out the InStyler. The InStyler is a rotating hair iron that claims to straighten, curl, and add volume and shine. The InStyler comes complete with a instructional DVD (Which i must admit i haven't actually watched myself as i prefer to just try a product out! ), a comb, a heat shield and a protective pouch to keep the iron in or to place it on when its turned out so you dont burn your carpet! It has three heat settings (low, medium and high) and as i have long, thick and unruly hair i used it on the highest setting. It heated up almost immediately and rotates on contact with the hair when the iron is closed. My only gripe is that because the iron rotates it is quite loud when in use. The brush bristles on the iron brush nicely through the hair and make it feel sleek and shiny afterwards. It literally only took a few minutes to straighten my hair with the InStyler from my hair having dried naturally and extremely wavy. I love that it has a 3m long cord as it stretches from my dressing table to my full length mirror which is always a bonus. Another plus point is the automatic shut off so if you leave it on by accident it will turn off after it hasnt been in use for 45 minutes. It is extremely easy to use, even for a hair novice like myself! As you can see, when my hair dries naturally after washing it is extremely wavy and the colour difference between my roots and the end of my hair is pretty obvious. After a few minutes of using the Instyler my hair feels and looks smoother and is straight. As a product i love it and i am so happy that ive had the opportunity to give it a try as it wouldnt necessarily be a product i would have picked up myself as i have straighteners and curlers already. However it is a great multipurpose tool that would be fantastic for travelling. It leaves hair feeling smooth and shiny and is styled within minutes. The InStyler retails for £99.99. If you think that we spend over £100 on GHDs to straighten our hair plus more money to turn it, why not splash out on a product that does both? Im stroking my hair now & it feels amazing! I am looking forward to seeing the other styles i can create with this iron! Have you heard of the InStyler before? Oh! I've had my eye on this for a while now and I'm glad I've come across someone who has done a review! The results are extremely convincing! I think I may have to treat myself to this for the new year! Ooo, the results look great! Is it quicker than straightening for long/thick hair? This looks like a really good styler, but I have a feeling I'll never be able to turn my back on my GHD's. The results looks amazing though! My god sisters are obsessed with this thing, I've never seen the results but this is WOW. Ooow I've been thinking about this for a while now, hoping to come across a review! Thanks, dose look like a good piece of gear, still anything with a self rotation scares me a little! Might have to pop it on my xmas list though! Wow, this looks great! I would be a little scared though with the "rotation" just incase my hair got tangled in it! Thanks for the little review. I've always wondered if this product was any good. The results on your hair look amazing. Great review, it certainly looks like it does a great job, I am planning on buying some GHD's for xmas (well my bf buying them) I would love to try these but do the results last? I have tried friends GHD's and my hair stays straight all day. How long did your hair stay styled for? My mom swears by the In Styler!!! Cute post!! 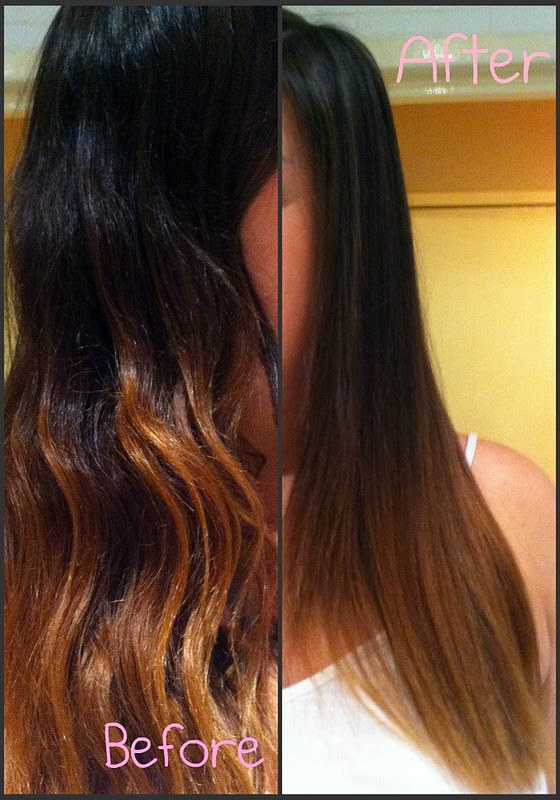 just come across for the first time, little bit unrelated but i love the ombre in your hair! did you do it yourself? hearing good reviews might need to put this on my wish list now!